There is a history of Blackness existing in a society that seeks to define it - in limited terms. The best way to ensure a full and accurate story is to inspire people to tell it! The Ashé Arts Collective provides the opportunity for everyone to engage in diverse arts and cultural experiences within the spectrum of the Black Experience. 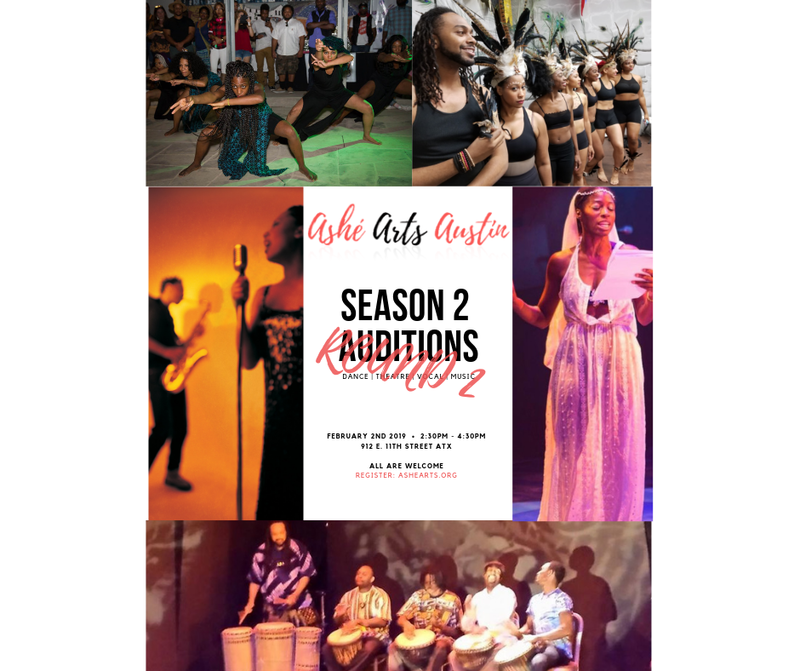 ASHÉ ARTS IS LOOKING FOR DEDICATED + DYNAMIC ARTISTS TO JOIN US FOR OUR 2ND SEASON! COME BE A PART OF SOMETHING SPECIAL. ALL ARE WELCOME. Artists will take a modern class and learn a short combination. Come in comfortable clothes (layers) and bring a water bottle. Artists will come in and sign up for a 1o minute slot. (If you pre-register for a slot, please arrive 15 minutes before that time). Please have material prepared and be prepared to receive direction.